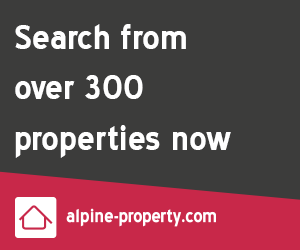 There are many options for getting around in Les Gets - whether you need catch a bus to and from the slopes, a private taxi from a restaurant or bar, or fancy skiing in a different resort for the day. Some of these Les Gets transport options are free of charge, offered by Tourist Office, whilst others are private firms offering specific local services. 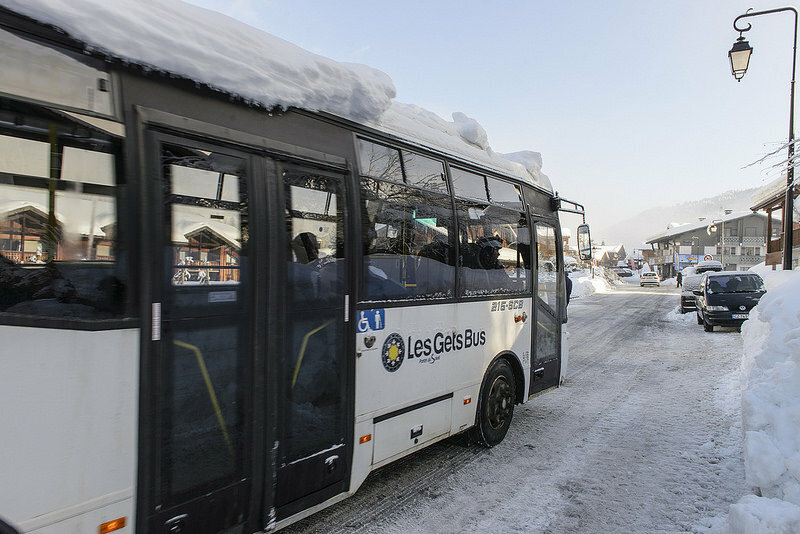 A free daily bus service which works to fixed routes and times, covering most areas within Les Gets including Les Perrieres, Les Cornuts, Les Granges, the village centre, Les Puthays, La Turche and Les Folliets. There are buses every 30 minutes throughout the winter and every 15 minutes at peak periods. 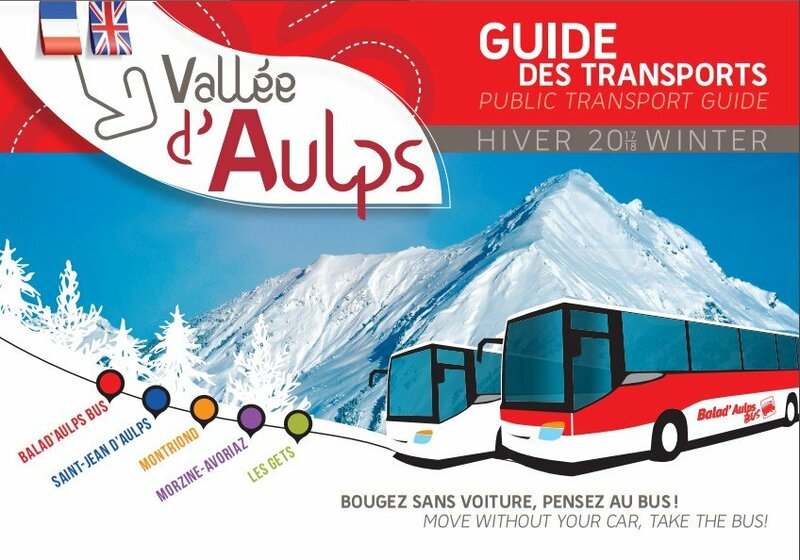 View a Les Gets map with bus routes. 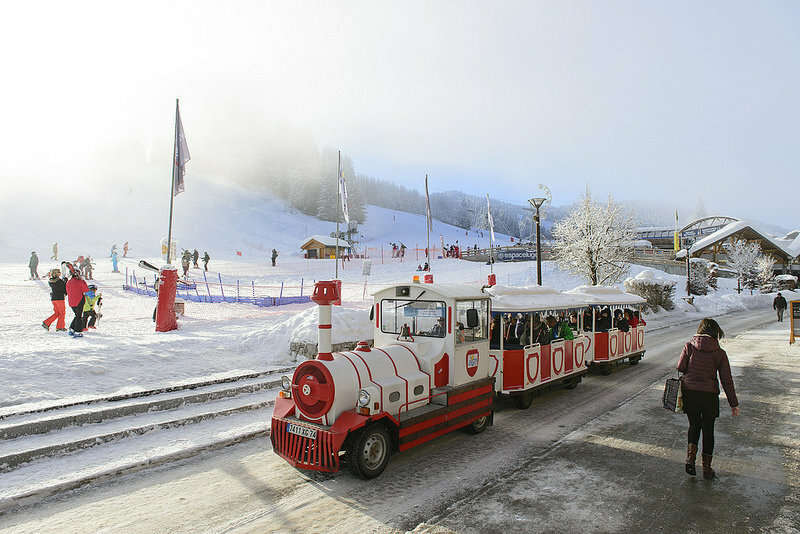 This is another free service which operates during lift opening times (except lunch time) between the Chavannes and Mont Chéry Telecabines. Kids (and big kids) love it! +33 (0)6 06 23 37 82 01. Bookings for the night shuttle service must be made between 18:30 and 20:30 by calling the number above. 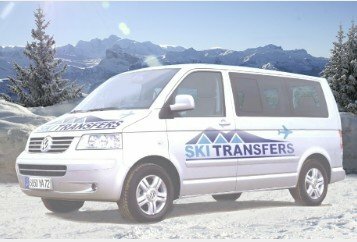 A private and flexible service offered by Ski Transfers to ferry you almost anywhere at anytime - supermarkets, bars, restaurants, medical centre and other local ski resorts and access lifts (Morzine, Avoriaz). +33 (0)4 50 04 49 76. For pickups after midnight book before 18:00. This inexpensive bus service operates everyday (every 45 minutes) and connects the main towns and villages in the local valley. The Balad'Aulps bus only costs 1.50€ per journey and is a fanatastic incentive to encourage locals and tourists to use public transport instead of cars. There are two routes - one goes via Montriond and the other goes via Essert Romand.